Skydeo recently joined the DCU Fintech Innovation Center on Atlantic Ave in Boston. Skydeo’s base of hedge funds and investment research clients plus it’s core strength in consumer marketing made the center an excellent fit. Skydeo CEO Mike Ford: “We’re excited to be part of the DCU Fintech community. The center has already helped us connect to a potential partner and product resources. As we expand our engineering team in the coming year, the center’s great location will help. Skydeo has offices in Boston and New York City. The DCU FinTech Innovation Center (the “Center”), the leading program focused exclusively on powering the next generation of financial technology companies in New England, announced today the 10 new seed-stage ventures in the Center’s latest Cohort. The Center is the collaborative effort between Digital Federal Credit Union, better known as DCU, and Boston-based coworking network company, Workbar. Coalesce.Info – Data & Analytics – Speeds-up research and analysis with machine learning. Intelligent Lending Advisers – P2P Lending – Buy side investing in peer to peer loans. IRAengine – Alternative Investments – Enabling pension fund investing in alternative investments. Keel – Investment Platform – Credible investment ideas from verified peer investors. MakeCents – Payments – A mobile solution for cash. Matchupbox – Blockchain – Digital identity as a service for banking and insurance. Skydeo – Data & Analytics – Mobile audience data and insights. Spotme – P2P Lending – Structure, execute and track a personal micro-loan. Tengu – Blockchain – Smart payments platform. Virtual Cove – Data & Analytics – Immersive reality solution for understanding big and/or wide datasets. 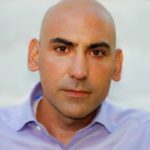 The Center accepts seed-stage FinTech startups varying from concept to product fit stage that can benefit from the FinTech ecosystem of mentors, investors, and institutions provided by the Center. DCU executives offer mentorship, assistance, and an open platform for working with the startups. Admitted startups receive one year of free office space at the Center, located in Boston’s financial hub and near the major transportation center South Station. There is neither a cash nor equity payment required from any participating company. 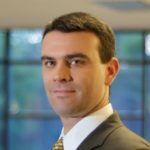 Founded in June of 2014 and relaunched in the fall of 2016, the Center has been building on its strengths by identifying the most promising financial technology startups, connecting them with world-class enterprise customers and partners, and ultimately helping to prepare them for broader commercial success. The new cohort began recently and applications for the December 2017 Cohort will open in the fall of 2017. The DCU FinTech Innovation Center is the leading sponsor of FinTech startups in New England and is dedicated to fostering FinTech startups and the Boston FinTech community. The Center focuses on helping startups gain initial customer traction and provides seed-stage FinTech startups with one year of free mentorship, workspace, community, and a professional network. The Center is fully funded by DCU, is supported by DCU executives, and is operated by Workbar. 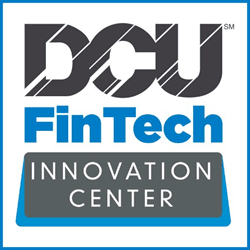 For additional information, visit http://www.dcufintech.org. DCU is a not-for-profit financial cooperative based in Massachusetts that serves over 600,000 members across all 50 states. DCU offers a full range of financial services to consumers and businesses, including banking, lending, financial management, insurance, and realty. For additional information, visit http://www.dcu.org. Workbar creates great places to work that bring the ideal office to you: convenient, affordable, and populated by a friendly mix of motivated professionals. Its growing network of high quality coworking spaces offers independent professionals, small businesses, startups, remote teams, and enterprise employees a mix of comfortable work space, meeting space, and amenities. For additional information, visit http://www.workbar.com.